The Tiffen 2 x 3" Soft Edge Graduated 0.3 ND Filter (Horizontal Orientation) is a graduated neutral density filter that helps to specifically darken skies and other bright areas of the image. The filter is densest at the edge and tapers to clear by the middle, with a soft-edged line of transition between the density and clear areas. 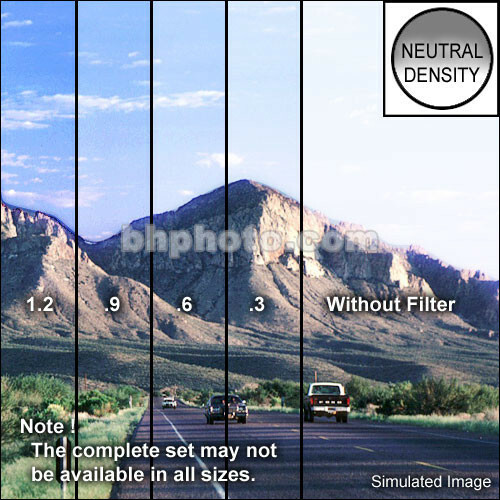 Neutral density filters do not affect the coloration of the image and the 0.3 density provides a 1 stop reduction in light from entering the lens.